Alternatives to Changing the Belgic Confession? Theistic evolution is a significant doctrinal challenge facing the Canadian Reformed Churches. When I say “theistic evolution” I mean such ideas as the biblical Adam and Eve sharing an ancestry with primates. I mean such ideas as God bringing Adam and Eve into existence in the wombs of hominid (human-like creatures) females, instead of through immediate creation with physical dust of the earth. These ideas exist in the Canadian Reformed Churches and to allow them to continue will spell the death of biblical orthodoxy for us. There is a proposal circulating at the moment which targets this false teaching. The proposal seeks to do that by having General Synod 2016 make a change to article 14 of the Belgic Confession. This change would explicitly rule out the ideas mentioned above, making clear that these notions have no place in Reformed churches which submit to God’s Word. It is fair to say that a majority of Canadian Reformed members would agree that this teaching is wrong and dangerous. Were a survey to be conducted, I am confident that most of our people would agree that theistic evolution should have no place in the Canadian Reformed Churches. Yet, as the proposal illustrates, we have this situation where it currently does have a place. We have a problem in that this teaching has been allowed to go on and consequently more people are being confused or led astray by it. But how do we deal with this serious issue? For whatever reason, there is some reluctance to change the Belgic Confession. We would rather pursue other alternatives first before doing something as momentous as what this overture is proposing. In this post, I want to briefly explore four of the most commonly mentioned alternatives. At the end, it will be clear that, realistically speaking, there is no other choice. Some have argued that a change to the Belgic Confession should not be necessary. Instead, what needs to happen is that those who are teaching theistic evolution should be placed under discipline. The confessions are clear enough as they are and it’s obvious that this teaching is unorthodox. Churches just need to muster the courage to discipline the members who are denying what we confess. This argument was made by Irish pastor Martyn McGeown in a recent issue of the Protestant Reformed magazine, The Standard Bearer, as he commented on the BC 14 proposal adopted by Classis Ontario West of March 11, 2015. It’s easy for Rev. McGeown to stand on the sidelines across the pond and make this argument. Rev. McGeown isn’t Canadian Reformed and doesn’t understand the gravity of the situation in which we find ourselves here. I doubt any outsider can comment responsibly on what we’re facing. We are facing a situation where there is now considerable confusion about whether this teaching conflicts with the Three Forms of Unity. This uncertainty exists even amongst some who are office bearers. In my last installment, I quoted from a Canadian Reformed pastor who affirmed that we need to have ecclesiastical clarity on whether theistic evolution is outside the bounds of the Three Forms of Unity. At least one other pastor has publically opined that those accused of teaching this are not really teaching this at all, thus there’s no problem that needs to be addressed. How can discipline take place when there is so much confusion and uncertainty in our churches about whether the promotion of theistic evolution is happening and whether it warrants discipline? Moreover, discipline does not address others who, while themselves not amenable to theistic evolution, think it should be tolerated within our Reformed churches. Finally, the proposal itself mentions that discipline has limitations when dealing with a widespread doctrinal challenge: in our churches, discipline is typically dealt with in closed session at ecclesiastical assemblies and decisions rendered are often considered to be binding only in that particular case – after all, how can a discipline decision made in closed session be publically binding upon the whole federation? (See Van Oene, With Common Consent, pages 154 & 213). Even if one only takes into account the office bearers and their awareness of these sorts of decisions made in closed session, what happens when a discipline case is only appealed up to the classis or regional synod level? Only the office bearers in that classical or synodical region might be aware of the decision, and then only the currently serving office bearers. This approach simply does not work in our context. We need an official binding statement made in public that applies right across the federation. Others might be inclined to say that we should have a doctrinal statement from Synod, rather than a change in the Belgic Confession. What this alternative involves is Synod issuing a statement or position paper which condemns the false teachings we’re currently faced with. One could perhaps envision Synod 2016 coming out with a point by point refutation of the errors of theistic evolution, and a corresponding point by point statement of what the Bible teaches about human origins. All I really need to say here are two words: “Nine Points.” If those words don’t ring a bell, the Nine Points of Schererville were issued by a URCNA Synod in response to the false teachings of the Federal Vision movement. These Nine Points (followed later by Fifteen Points at the next URC Synod) created confusion and controversy in the URCNA, and consternation amongst many in our churches. Many CanRC observers thought that this “extra-confessional” statement was all too reminiscent of what happened in the Netherlands before and during the Liberation of 1944. Extra-confessional synodical statements were made binding and this was a major cause of the Liberation. In view of the reception of the Nine Points among us, it is really reasonable to expect a CanRC synod to issue a doctrinal statement or position paper? If that should somehow happen, would it actually bring clarity? What would be the status of such a statement? Would office bearers be expected to subscribe to it? Would it be confessional or not? If not, could it still be used to prosecute false teachers in our churches? All of the questions asked about the Nine Points would be asked here too and we would be faced with an unhelpful quagmire. This is obviously a non-starter for our churches. We have to be realistic. Because of our history, we just don’t “do” doctrinal statements or position papers. Moreover, there are many issues that might warrant a position paper: divorce and remarriage, homosexuality, Christian education, and so on. There’s really only one issue that would truly benefit from a change to our confessions, and that’s this issue of theistic evolution. Similar to the doctrinal statement approach is the idea of a footnote added to article 14, or perhaps article 12. Rev. Clarence (a.k.a. “Klaas”) Stam floated this idea in an article in the April 20, 2015 issue of Clarion. At first glance this sounds like a fine way to avoid changing the text of the Confession while still bringing clarity to the issue at hand. However, it actually confuses things even more and raises more questions than it answers. Questions like: what would be the status of such a footnote? Does anybody know what the status of our one existing footnote is (in BC 36)? When office bearers sign the Form of Subscription, would they subscribe to this new footnote? When members of the congregation make Public Profession of Faith, do they express commitment not only to the Three Forms of Unity, but also to this proposed footnote? Can a member be placed under discipline for teaching something contrary to a footnote? If it’s proposed to make such a footnote binding in any way, wouldn’t it die under the protest of “extra-confessional binding”? All those questions need clear answers before a footnote is a reasonable alternative. I think we can all recognize that, like a doctrinal statement, any footnote proposal is not going to be well-received in the Canadian Reformed Churches. Not only are there all those questions, but there really is no precedent for it — the one existing footnote (in BC 36) did not appear in response to a serious doctrinal challenge. There is, however, a precedent for responding to false teaching by amending the Confession. Doing this leaves absolutely no ambiguity in terms of status. It really is the only way forward for the Canadian Reformed Churches. Making a substantial change to the Belgic Confession is not a light matter – it should never be done recklessly or on a whim. Adding or taking away from articles should be done soberly and with careful reflection. Consequently, some might say that this proposal is moving too quickly. Rather than make a change right now, Synod 2016 should appoint a committee (perhaps a church) to study the matter and then report to Synod 2019 with analysis and recommendations. In response, this proposal was not developed on a whim. Those involved with producing it (myself included) have been addressing these issues for several years already. We’ve had to do that because this false teaching has been circulating in our churches for no short period of time. There is an urgent need to address this unbelief sooner rather than later. Appointing a study committee will allow yet more time for these wrong ideas to dig deeper roots in our circles. Rather than giving that time, the appropriate response is to take action now by making this well-considered change to the Confession. Furthermore, appointing a study committee dignifies this teaching and could give the impression that it is one where Christians might legitimately disagree with one another. It could be perceived as saying that Scripture is not really clear on the matter. However, there are certain issues where the biblical lines are clear and discussion is inappropriate. An analogy might help to make this clear. Imagine if a group of people in our churches started teaching that celibate homosexual relationships fall within the bounds of the Reformed faith. After all, there is no place in our Reformed confessions that explicitly and obviously rule out such relationships. Should we appoint a study committee to look into this? Isn’t Scripture clear that such relationships are unacceptable in the sight of God? Why would we dignify an unbelieving approach to Scripture by appointing a study committee on such a matter? This is what our Dutch sister churches did by appointing a study committee on women in office. If Scripture is clear, there is nothing to study. There is only the call to believe what God’s Word plainly says. It is as clear from God’s Word that Adam and Eve were created from literal dust (with no evolutionary history) as it is that homosexual relationships are illicit. Should this proposal (or another like it) find its way to Synod 2016, it will be assigned to an advisory committee. It could happen that the advisory committee looks at this sort of proposal and decides that it is not the best answer to the problem facing us. An advisory committee could advance a different approach. However, I maintain that there is no other viable or helpful way to address the issue of theistic evolution at this stage of the debate in the Canadian Reformed Churches. What we need is a stand that is both clear and unambiguous in its status in our churches — and we need it sooner rather than later. In short, we must make this change to article 14 at Synod 2016. Can We Change the Belgic Confession? Original 1561 Belgic Confession — not exactly today’s CanRC BC. There is an overture circulating in the Canadian Reformed Churches which proposes a change to article 14 of the Belgic Confession (you can find it here). The change is intended to address theistic evolution. The hope is that this overture will find its way to the table of General Synod 2016. My purpose in this article is not to defend the overture as such. Instead, I want to tackle the broader question of whether the Belgic Confession may be changed. Upon first reading this overture, some readers will instinctively recoil at the idea. To address that reaction, in this article I will review some of the substantial changes that have already taken place in the 454 year history of the Confession. We’ll briefly consider some of the differences that currently exist between the CanRC edition of the Belgic Confession and the editions used by other Reformed Churches. Finally, we will hear some voices from the past about the possibility or desirability of making changes to our confessions. When the Belgic Confession was first written in 1561 it still needed a lot of refining. The Reformed churches of the Low Countries had put much effort into producing their confession, but the atmosphere of persecution meant that initial collaboration was minimal. The original format of the Confession was rough and in need of some editorial work. A synod was held in Antwerp in 1566. This synod made many changes to the Belgic Confession. Some of the changes were merely editorial – the synod pared down some of the original wordiness of the Confession and also deleted at least one witty remark from Guido de Brès. But there were also several substantial changes made. For example, Synod Antwerp 1566 revised article 5 to add a third function of Scripture: “confirming of our faith.” “Proceeding from the Father and the Son” was added to article 8. In article 16, the statement “the fall into which they had fallen” was replaced with “the fall into which they had thrown themselves.” Article 36 saw many changes at this Synod and one of the most substantial was the addition of an explicit renunciation of the Anabaptists. 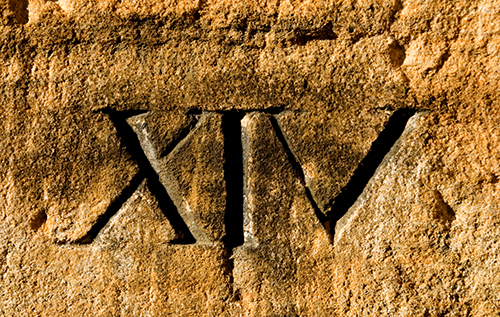 For the next 53 years, the text of the Confession remained relatively static. However, with the Synod of Dort of 1618-19 we again see some substantial changes. We often associate the Synod of Dort only with the Canons of Dort. The reality is that this Synod also made some significant changes to the Belgic Confession. As a result of objections made by the Arminians, changes were made to many of the articles, many either cosmetic in nature or related to formulations. However, there were also more weighty changes. For example, the attribute “almighty” was added to article 1. God’s preservation was added to article 2, as were the words “more clearly and fully.” One of the most significant revisions was made in article 22 in response to a theological controversy over the imputation of the active obedience of Christ. In Reformed orthodoxy, we believe that when Jesus Christ was obedient to God’s law when he lived on this earth, he did it in our place. His obedience is credited to our accounts before God. The German theologian Johannes Piscator had denied this. His teaching on this point had already been condemned and ruled unorthodox by the French Reformed churches and the English. The Synod of Dort followed suit by adding these words (in bold ) to article 22, “…and as many holy works as he has done for us and in our place.” This change made it clear that the imputation of the active obedience of Christ was (and is) the doctrine of the Reformed churches. One is not permitted to deny this doctrine. Finally, we should note a substantial change made in more recent times. At the Synod of Utrecht 1905, a group of theologians (including Abraham Kuyper) proposed a change to article 36 so that this article would better conform to biblical teaching about the civil government. As a result, these words were deleted: “all idolatry and false worship may be removed and prevented, the kingdom of antichrist may be destroyed.” Since then these words have often been relegated to a footnote in most editions of the Belgic Confession, including ours. At Synod 1983, a new English edition of the Belgic Confession was adopted by the Canadian Reformed Churches. This edition featured many departures from previous editions. As in previous times, some of the changes were merely cosmetic, fixing up the wording here, or a formulation there. However, there were also several changes made that were more substantial. In fact, Synod 1983 considered these changes to be of such a weight that “the churches abroad” should be informed. Let’s briefly note just three of those changes. As a result of Synod 1983, the Canadian Reformed Churches have a faithful and elegant rendition of the Belgic Confession, but one that differs substantially in several places from editions used in other churches. Our churches are not the only ones who have made changes to the Belgic Confession over the years. There are several significant differences that exist in the editions of the Belgic Confession held by our sister churches and others. Let me give two examples. The first is with what the RCUS did with article 15. Our edition says regarding original sin: “It is not abolished nor eradicated even by baptism, for sin continually streams forth like water welling up from this woeful source.” However, the edition of the RCUS says (bold added): “Nor is it altogether abolished or wholly eradicated even by regeneration; since sin always issues forth from this woeful source, as water from a fountain…” “Baptism” has been replaced by “regeneration.” It is not immediately clear why this change was made. The change has no basis in the original 1561 text, in the French or Dutch texts adopted by the Synod of Dort, or in the Latin text commissioned by Dort. The second example is found not only with the RCUS, but also with the URCNA, FRCNA and others. 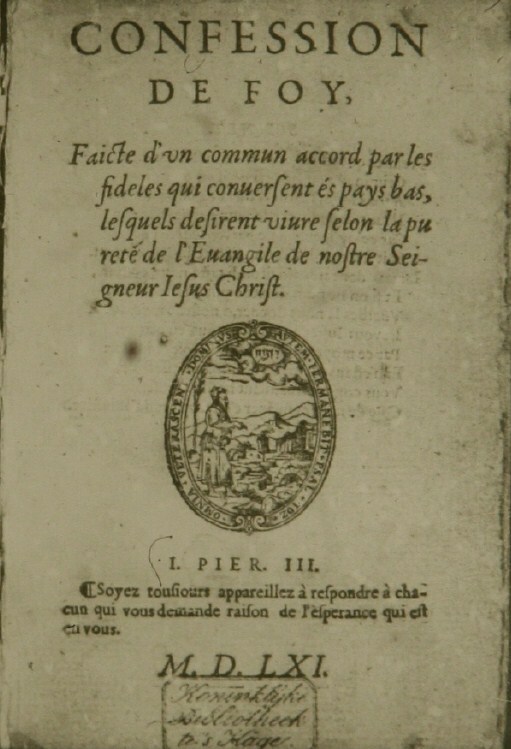 In article 29, our CanRC edition reads regarding the true church, “It practices the pure preaching of the gospel…” Most other English editions read (bold added), “If the pure doctrine of the gospel is preached therein…” The word “therein” did not appear in the original Belgic Confession of 1561. It also never appears in any subsequent French, Dutch, or Latin editions. “Therein” seems appear out of thin air in the English edition adopted by the Reformed Dutch Church in the United States of America (now known as the Reformed Church of America) in 1792. It has remained with most English versions ever since. Why or how it was originally added is unclear. What is clear is that this word became a substantial issue later on in debates about the missionary relevance of the Belgic Confession in the Christian Reformed Church. Some argued that this word gives the impression that the preaching of the gospel is only meant for inside the church. What have those who have gone before us said about this matter of changing the confessions? Above we already noted Dr. Abraham Kuyper’s involvement in making a substantial change to article 36. From his involvement in that endeavour, we can draw the conclusion that he was not averse to making changes he thought were necessary. However, Kuyper is often portrayed as a villain in our tellings of church history, so perhaps some would not be so impressed with his take on this. Then let’s turn to one often portrayed as a hero in our tellings of church history: Dr. Klaas Schilder. He said, “Every confession is capable of being revised. Of course, not every three years. It is a sign of impotence that we are still unable to do that. We have clung too much to traditions and had too little opportunity for study.” For Schilder too, revision of the Confession, whether by addition or subtraction, could not be automatically ruled out. In fact, remarkably, he described the inability to do it as impotence. As for Canadian Reformed theologians, we could turn to the late Dr. Jelle Faber. Dr. Faber was a student of Schilder and perhaps had learned something from him on this. In a 1979 Clarion article, Faber discussed article 36 of the Confession. He concluded (bold added), “Let us not return to 1561; let us also not undo the decision of 1905 – as some of our Dutch brothers propose – but let us rewrite the entire third passage of Article 36 of our Belgic Confession.” Some twenty years later, Faber was speaking along similar lines: “The Canadian Reformed Churches have modernized the English text and in the course of this process they have even made some changes in the content of the confessions.” Of course Faber would say this – he was personally involved with making all of those changes. He was on the committee that produced the revised Belgic Confession for Synod 1983. Therefore, we can conclude that also the esteemed Dr. Faber was not opposed in principle or practice to making changes to the Belgic Confession. The case is solid that Reformed churches and theologians have never regarded the Belgic Confession to be an historical document that may never be changed. In fact, many changes have been made for several reasons, including as a response to serious doctrinal error. The Confession has never been a static document. What we call the Belgic Confession in our Book of Praise is not exactly the Belgic Confession that was written by Guido de Brès in 1561. It is not even a translation of the 1561 Confession – rather, it is what we call an edition. Like it or not, the fact is that we already have a Canadian Reformed edition of the Belgic Confession. Moreover, we have sister churches who have their own different editions of the Confession. They have either made their own changes or not followed the changes we made. This has never proven to be any difficulty in our relationship with these churches – we can be confident that changing article 14 would not break this pattern. In fact, given the strong stand of some of our sister churches (RCUS and URCNA) on the issue of origins, we might expect that this proposed change would rather be encouraged and welcomed. At Classis Ontario West of March 11, 2015, fraternal delegates from the OPC, URCNA, and RCUS actually encouraged our churches to take this kind of action against the doctrinal error we’re facing. We have always said that only the Word of God is infallible, inerrant, and unchangeable. In principle, we have always maintained that the confessions are man-made documents bearing ecclesiastical authority. The confessions of the church need to reflect the teaching of the Word of God in ways that are relevant to the life of the church today. If there is an obvious need to make a change, the change can and must be made. So the question is not: can we make any changes to the Belgic Confession? History is full of instances where changes have been made, both by ourselves and others. History provides instances where our theologians have argued for changes. The question really becomes: is a particular issue of such weight and significance that a change should or even must be made to the Confession? That is the question our churches need to be considering today as they discuss this particular proposal. For documentation of all these changes and more, see Nicolaas H. Gootjes, The Belgic Confession: Its History and Sources (Grand Rapids: Baker Academic, 2007), 122-131. Gootjes, The Belgic Confession, 153-158. Gootjes, The Belgic Confession, 151-152. For some discussion of this change, see Wes Bredenhof, To Win Our Neighbors for Christ: the Missiology of the Three Forms of Unity (Grand Rapids: Reformation Heritage Books, 2015), 26-28. Wes Bredenhof, For the Cause of the Son of God: The Missionary Significance of the Belgic Confession (Fellsmere: Reformation Media & Press, 2011), 238. Quoted by J. Douma, The Ten Commandments: Manual for the Christian Life (Phillipsburg: P & R, 1996), 69. J. Faber, “The Civil Government in Article 36 B.C.,” Clarion 28.24 (December 1, 1979): 512. J. Faber, “The Confessional History of the Canadian Reformed Churches,” Clarion 48.4 (February 19, 1999): 80. A proposal is going to Regional Synod East in November which puts forward a change to article 14 of the Belgic Confession. This proposal is designed to clear up the confusion that currently exists in the Canadian Reformed Churches regarding origins. We have those who claim that the Three Forms of Unity in their existing state rule out any notion of human evolutionary origins. On the other hand, we have Reformed Academic asserting, and I quote, “Theistic evolution is not outside the boundaries of the Three Forms of Unity.” There are a fair number who agree with Reformed Academic. Who is right? Our churches urgently need clarity on this question. Fourthly, there is the irreversible hierarchical structure of the classification of living things. If animals living today would have been created by fiat creation rather than by evolutionary creation, there would have been no hierarchical branching pattern unless the Creator would have wanted those who investigate such matters to believe there had been a history which never actually occurred. Since the Creator does not deceive us I am led to the conclusion that He created animals by means of an evolutionary process thereby giving us a real evolutionary history. Dr. Van der Meer made this statement in a public online discussion with one of the Providence office bearers. You can find the original context here at Reformed Academic – the quotation can be found in the comments of Dr. Van der Meer on January 2. The use of this quote in the proposal has been disputed. In this blog post, Rev. Bill DeJong alleges that this statement was retracted. Moreover, he claims (under point 9), that this retraction was done publically and the drafters of the proposal completely ignored this. Of course, this calls into question the integrity of the drafters and the credibility of the proposal. Regrettably, others have echoed these claims. These claims therefore deserve some further investigation. I have searched on Reformed Academic for Dr. Van der Meer’s public retraction of this statement made in response to Providence deacon Herman van Barneveld. I have not been able to find it. Dr. Van der Meer did not retract this statement in the following comments under that blog post, nor did he issue a retraction of that statement in any subsequent blog post on Reformed Academic. One would think that this blog would be the natural place to issue such a public retraction. Moreover, if it was publically retracted, why is the statement still out there on the blog as if it continues to be Dr. Van der Meer’s position? It’s still there, still sowing confusion. If I had made a statement and later learned that I was in error, I would want to make an effort to correct my error. If it was a public error, I would want to make the correction publically and remove the error. Readers should notice that Rev. DeJong and others have supplied no reference to support their claim. I want to ask Rev. DeJong: where, exactly, did Dr. Van der Meer publically retract that statement made in the context of his response to Herman van Barneveld? Rev. DeJong needs to provide the evidence to support his claim. And then a follow-up question: if Dr. Van der Meer perhaps retracted a similar statement used in a different context, where did he retract that and exactly why? Did he perhaps change his mind? Or was it merely a matter of proof-reading/editing with no real change in his position? Now I know that my colleague Rev. DeJong wants to promote justice and truth – and I respect him for that. However, these same virtues also behoove him to share with his readers the whole story behind this “retraction.” Once the entire body of evidence is considered in context, I believe it will be clear that the drafters and adopters of this proposal acted honestly and with the integrity expected of office bearers in Christ’s church. On March 11, Classis Ontario West adopted an unusual proposal from Hamilton’s Providence Canadian Reformed Church: Providence wants an addition made to the Belgic Confession. Other objections have already been raised, some of note (an edit will be needed to acknowledge that Eve, too, was made in God’s image), but very few of which wrestle with what is at stake here. To paraphrase Douglas Wilson, did Adam bring death into the world (Romans 5:12) or did millions of years of death and dying bring Adam into the world? Providence’s proposal specifically and clearly rejects the latter and calls upon our churches to do the same. Lots of work, research, and thought has gone into Providence’s proposal, and you should read it for yourself. Along with the supporting appendices, you can find it here. A version of this post originally appeared in the March 2015 issue of Reformed Perspective. Our purpose at Creation Without Compromise is to provide Reformed church members with resources to defend and promote the biblical teaching on origins. We also aim to provide tools to office bearers to fulfill their subscription vows. In that light, the CWC team is convinced that the proposal to add some words to article 14 of the Belgic Confession is worthy of careful consideration by all Canadian Reformed office bearers. This is why you can find the proposal on our website. The issues need to be studied and weighed carefully. Objections have been expressed against this proposal. Most recently, Clarion (June 5, 2015) featured an editorial by Dr. J. Visscher expressing his disagreement with the proposal. To assist our readers in making a responsible judgment, over the next while we will post several articles related to the proposal. We begin today with a response to Dr. Visscher. I would like to thank Dr. James Visscher for his response to the proposal to make a change to article 14 of the Belgic Confession. This provides an opportunity to address both his concerns and similar ones that have recently been expressed by others. Since most of his concerns are actually dealt with in the proposal itself and its supporting appendices, I will try to be succinct. There is first an apparent ethical issue: names are named without any apparent due process. In response, the proposal is not about these individuals as such – indeed, they are only mentioned in the first ground of ten to prove that a certain problematic way of thinking exists in our churches. The individuals mentioned have publically written myriads of words. They are outspoken representatives of a way of thinking that either holds theistic evolution as credible, or at least wants to leave room for theistic evolution in our churches. If one pays attention to social media, one soon hears a fair number of these voices in our churches. Moreover, those involved with drafting and adopting this proposal have in fact at various times and places interacted with these brothers. To suggest that anyone has been condemned “rashly and unheard” is hardly, if at all, credible. Dr. Visscher further notes that one of those mentioned in the proposal has publically claimed that he is not a “theistic evolutionist.” Why did he then allow his name to be included and remain on an online list of evangelical Christians who believe that evolution is true? Readers should further remember that, to his dying day, Jacob Arminius claimed to be faithful to the Belgic Confession and Heidelberg Catechism. More to the point, in the 1990s in the CRC, Dr. Howard Van Till also claimed that he was not a theistic evolutionist. Finally under the heading of ethical concerns, Dr. Visscher mentions a case brought before a Regional Synod East. This discipline matter was dealt with in closed session and I fail to see how it can be discussed publically without the consent of all parties involved. What if one of the parties plans to appeal to General Synod? Moreover, if we are going to publically comment on decisions made in closed session by a Regional Synod, why not go all the way and actually share with readers the full text of the decision? As it stands, readers are only hearing one side of the story (see Prov. 18:13 & 17). Dr. Visscher’s next set of concerns are about whether doctrinal issues should be addressed by a change to the Confession. He disagrees with the proposal’s approach. In response, I would ask Dr. Visscher how serious and widespread a theological error would have to be before the church federation rises to some kind of action and then, what action should she take? Dr. Visscher is long on critique and short on a constructive alternative. Moreover, in ground 2, the proposal proves that the error being addressed is not only unbiblical, but also an attack on the very gospel itself. As is documented in Appendix 3, the Reformed churches have in the past responded to these types of grave challenges with confessional additions (the Canons of Dort) or amendments (Belgic Confession art. 22). There are precedents. Finally, Dr. Visscher anecdotally mentions some of his professors who warned against “tampering” with the confessions. Again, I would direct readers to Appendix 3 for published quotes to the contrary from some of our theological forefathers, including Dr. J. Faber and Dr. K. Schilder. These men committed themselves in writing to the very opposite view that Dr. Visscher mentions. Why doesn’t he interact with this material? Then there is “the textual issue.” Dr. Visscher feels that the existing confessions address the problem of theistic evolution quite adequately. This is precisely the point at issue. Reformed Academic asserts, and I quote, “Theistic evolution is not outside the bounds of the Three Forms of Unity.” Dr. Visscher and others say that it is; Reformed Academic claims that it isn’t and they have others who agree with them. Who is right? This is the question this proposal has been drafted to answer as it (hopefully) is discussed at General Synod 2016. The last issue Dr. Visscher raises is about our sister-church relationships, especially those with whom we share the Belgic Confession. It should first be noted that the Canadian Reformed Churches already have their own unique edition of the Confession – again, readers should refer to Appendix 3 for the evidence. The Belgic Confession we have in our Book of Praise is not the Belgic Confession as originally written by Guido de Brès in 1561, nor is it the exact Confession of, say, the RCUS or URC. This has never been an issue. Moreover, at Classis Ontario West of March 11, 2015 there were fraternal delegates from the OPC, URC, and RCUS present as this proposal was discussed. They contributed to the discussion and all encouraged us to proceed in this direction. Contrary to the belief of Dr. Visscher (and others who share his opinion), we should expect that our faithful sister churches would be more concerned about our tolerating theistic evolution than about us making a change to the Belgic Confession to address theistic evolution. They would be far more concerned about us taking no action than taking this action. Finally, the proposal does leave the door open for Synod to decide that this is a substantial change (requiring discussion with sister churches) rather than a clarification (see Process, point 5). Reactions like that of my colleague give the impression of being conservative. However, this type of reaction will end up sacrificing biblical orthodoxy on the altar of maintaining a human document as an immutable historical artifact. This is a “conservatism” that does not serve the ongoing defence and maintenance of biblical truth. Our confessions need to be living documents, expressing the biblical faith of the church and also, where necessary, responding to the most egregious errors of our day.